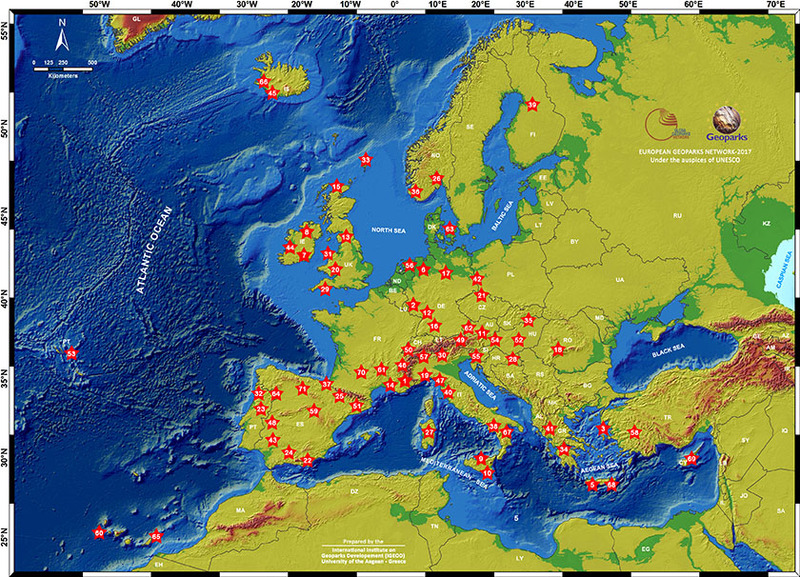 At present, the Network comprises 73 Geoparks from 24 European Countries. The main aim of the network is to support its members to bring sustainable territorial development to the geopark by using that territory’s geological heritage, primarily through the development of geotourism. It is our aspiration that geotourism on a European-scale can be developed in this way. The Network is responsible for the assessment of it’s members operation and services in order to promote the “European Geoparks” label as a high quality brand in Geotourism. Geopark management bodies are responsible for the establishment of a management and action plan which should describe it’s members operation and activities and should refer to the following issues: Earth heritage sites identification and assessment, natural and cultural heritage elements validation, geosite protection and geoconservation, Earth heritage interpretation infrastructure and activities, Geotourism infrastructure and activities, Environmental education activities and tools, Promotional activities, Support of local business, Monitoring, International relationships. The Network owns the “European Geopark” trademark registered within all countries in the European Community. The members of the European Geoparks Network are members of the Global Geoparks Network assisted by UNESCO (GGN).